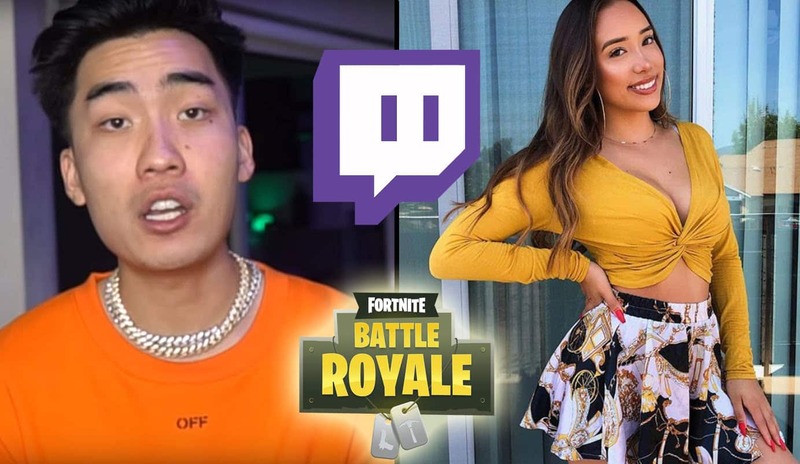 During RiceGum’s Fortnite stream, he had Instagram Model Katrine Lee on his channel. At one point, RiceGum was avoiding an enemy so he doesn’t die. He then randomly shows Katrine Lee his sweater and asks if she likes it. Katrine Lee is an Instagram Model who goes by @katrinelee_ in her profile. She posts pictures of her newest outfits and poses in various places. She’s not one to shy away from the camera, always looking like she’s having fun. She currently has around 12k followers which is quite high given she just started her Instagram account in May 2018. Katrine also shares a YouTube channel with her boyfriend Malic, where they post weekly vlogs, pranks, challenges, experiences, Q&A, and fun times. 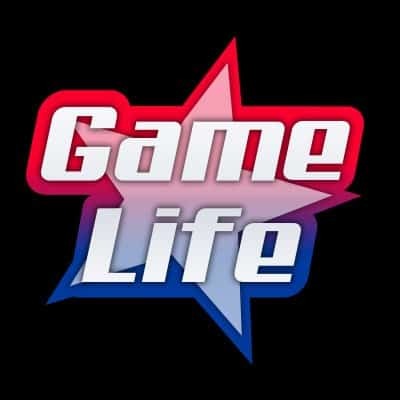 The channel is quite big, having 80,000 subscribers and growing. 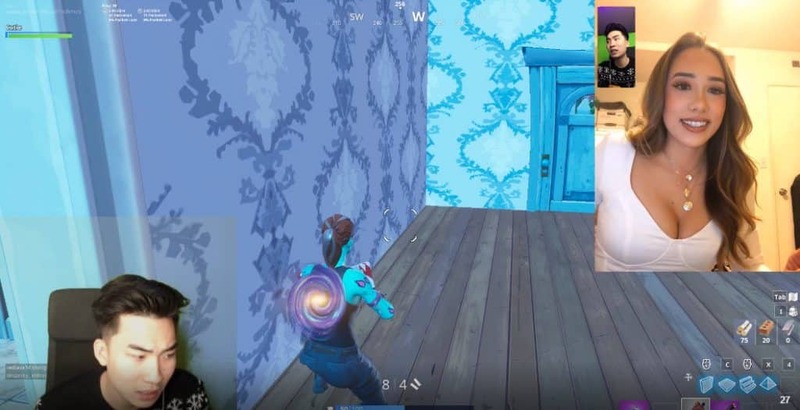 During one of RiceGum’s Fortnite Battle Royale streams, Katrine Lee was on the channel as his latest Instagram model guest. At the beginning of the stream, RiceGum forget to plug in Katrine’s Instagram name. ﻿ While he was typing her name Instagram account name into the screen, he was avoiding an enemy who found him inside one of the houses. The situation was a little bizarre as he was trying not to get killed, at the same time plugging in Katrine’s account name. More: RiceGum Invites His Instagram Model Cousin. Asks Weird Question. The conversation the switched with Katrine asking RiceGum how he’s feeling. That’s when RiceGum out of the blue shows his sweater to Katrine and asks if she likes his sweater. If you take a closer look, you’ll notice RiceGum is sporting a rather dirty little sweater. 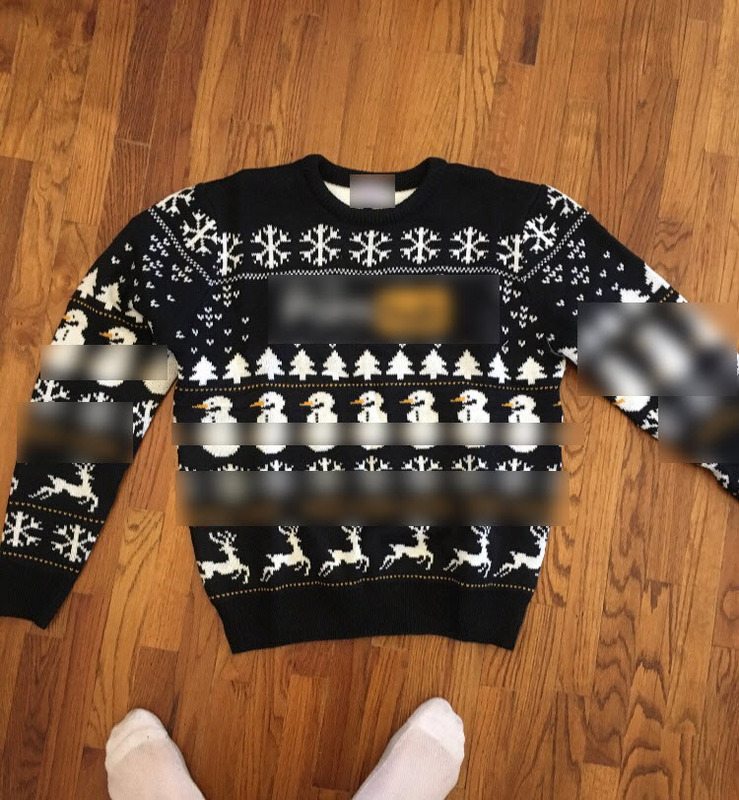 The name of an adult site has been blurred out, as well with the bottom part of the snowman for reasons that are quite obvious. Nonetheless, it seems that Katrine Lee didn’t really flinch as the video cuts off, but we can imagine that they all had a laugh in the end because it’s quite a random thing to do and ask someone to check out your sweater holding the logo of an adult website.